Outside groups spent big backing either centrists or hard-line conservatives in GOP House runoffs. The centrists went 5 for 7. 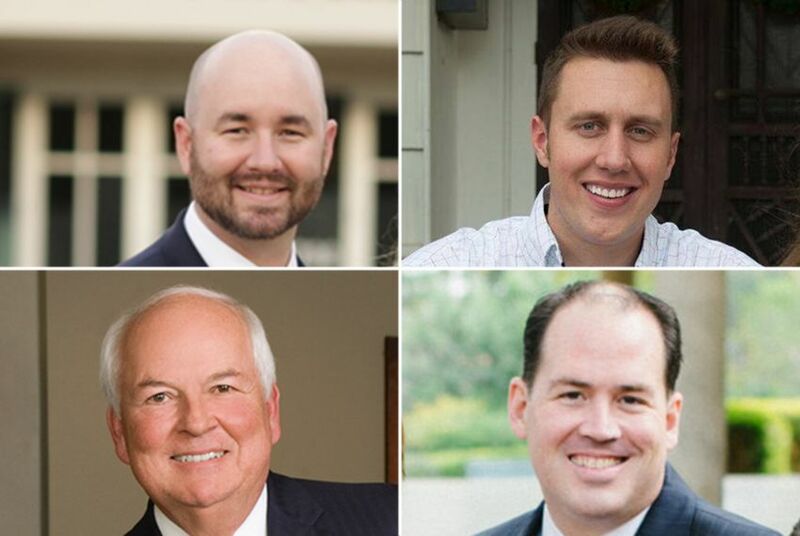 Five of the seven Texas House GOP runoffs were won by candidates who had support from two groups aligned with retiring House Speaker Joe Straus and other establishment Republicans. Two groups aligned with the more moderate wing of the Texas Republican Party took off their gloves this election cycle, publicly backing like-minded candidates in contested primaries and spending more money to support them. And those contenders came out on top in several key primaries and runoffs. Five of the seven Texas House GOP runoffs were won by candidates who had support from the Associated Republicans of Texas and the Texas House Leadership Fund, two groups aligned with retiring House Speaker Joe Straus and other establishment Republicans. ART, founded in the 1970s to turn the Legislature red, spent about $2.3 million — an unprecedented amount of money for the group — since the start of 2018 on polling, donations, advertising and consulting for a slate of primary candidates who ran largely against further-right contenders, campaign finance reports show. The group is fueled by donations from Straus, Houston beer distributor John Nau and El Paso businessmen Woody Hunt and Paul Foster. And the Texas House Leadership Fund, another group partly funded by Straus, doled out just over $1 million on most of those same candidates for those same items — a little more than double what it dished out in the 2016 primaries and runoffs. But the hard-line conservative groups who have been taking sides in Texas Republican primaries for years spent big, too. The Empower Texans political action committee, largely filled with money from Midland oilman Tim Dunn, spent about $2.8 million since January 2018, while Texas Right to Life, an anti-abortion group, gave roughly $1.59 million to a ton of those same contenders. Both groups roughly doubled how much they spent in the 2016 primaries and runoffs. “It is clear that voters rejected negative campaigns and instead voted for thoughtful, conservative Republicans who are going to have a very positive impact on the next legislative session and on the future of our state,” said ART President Jamie McWright in a statement Tuesday night. One of those impacts could be the upcoming House speaker’s race, which will largely be influenced by the ideological makeup of the lower chamber come January 2019. Meanwhile, some of the House’s more conservative members aligned with Empower Texans and Texas Right to Life also messaged Tuesday’s election results as a win for the lower chamber to pass party-backed legislation next session. In a closely watched state House race to replace Straus, who is retiring, ART gave Steve Allison around $138,000 in in-kind contributions this year, plus a $50,000 last-minute monetary donation just before the May 22 runoff. Allison, who had Straus’ endorsement, beat Matt Beebe, who unsuccessfully tried to unseat Straus in 2012 and in 2014, by 15 points. Beebe got around $75,000 from Texas Right to Life and roughly $150,000 from Empower Texans PAC. In another tight race for the seat held by retiring state Rep. Byron Cook, a Corsicana Republican and Straus lieutenant, ART gave almost $170,000 to Cody Harris this year. Harris also got $145,000 from the House Leadership Fund, including two last-minute $50,000 donations. Thomas McNutt, the further-right candidate in the race, got around $338,000 from Empower Texans’ PAC and another roughly $123,000 from Texas Right to Life. Harris handily defeated McNutt by 14 points. Other ART backed candidates — Keith Bell in the East Texas House District 4, Reggie Smith in the North Texas House District 62 and Ben Leman in the Central Texas House District 13 — also defeated their further-right opponents, which had received a financial lift from Empower Texans and Texas Right to Life. One exception to the trend was Deanna Maria Metzger, who beat Joe Ruzicka on Tuesday for the Republican nomination to take on state Rep. Victoria Neave, D-Dallas, in November. Metzger had support from Empower Texans and others, although those numbers were relatively more modest compared to other races. And on top of that, state Rep. Scott Cosper, a Killeen Republican who was heavily backed by ART and the House Leadership Fund, was the only GOP House incumbent who lost Tuesday. The traditional GOP battle lines weren’t exactly present in that race; Brad Buckley, the Killeen veteran who ousted the state lawmaker, didn’t heavily campaign as the more conservative candidate. To be clear, a few of the more conservative candidates backed by Empower Texans and Texas Right to Life came out on top in the March 6 primaries: Mayes Middleton, who largely self-funded his campaign, ousted Republican state Rep. Wayne Faircloth of Galveston, Steve Toth won the Houston-area seat vacated by former state Rep. Mark Keough, R-The Woodlands, and Jonathan Boos placed first in the race to replace state Rep. Cindy Burkett, a Sunnyvale Republican. Those wins, along with the others from the primaries and runoffs, have been framed by Stickland and company as near-guaranteed pickups to grow the 12-member Freedom Caucus in 2019. Disclosure: John Nau, Woody Hunt and Paul Foster have been financial supporters of The Texas Tribune, a nonprofit, nonpartisan news organization that is funded in part by donations from members, foundations and corporate sponsors. Financial supporters play no role in the Tribune's journalism. Find a complete list of them here.